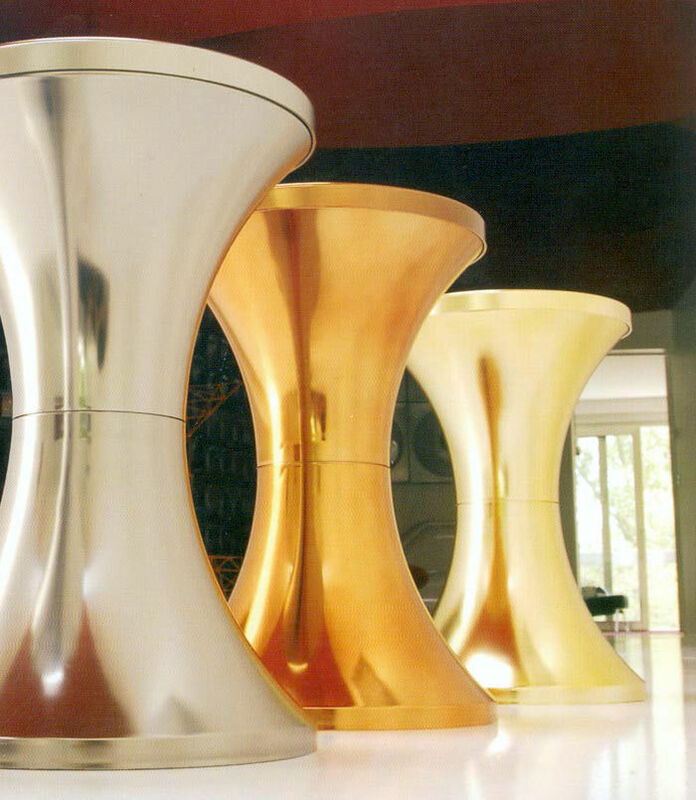 The chrome Tam Tam stool: The luxurious and glamorous version of the famous stool created in 1968 by Henry Massonnet has been republished by Branex Design. 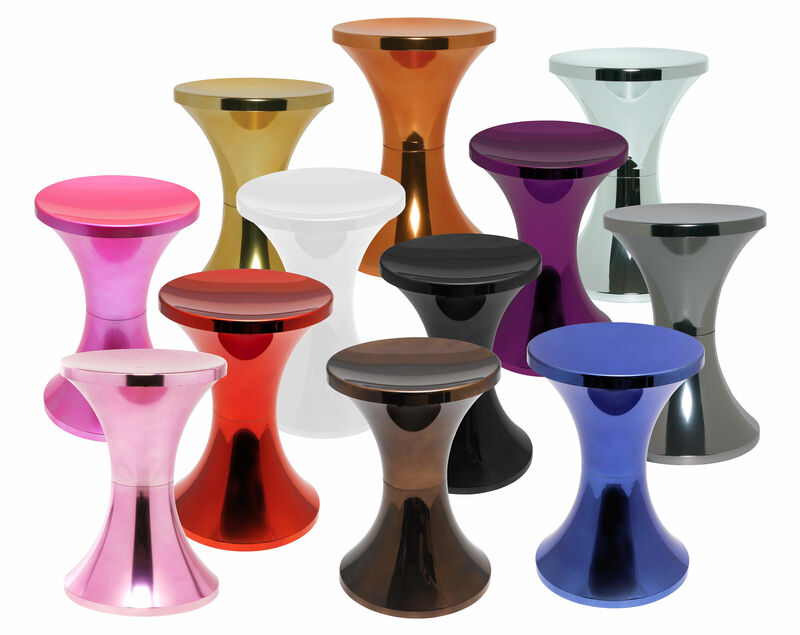 Economic, comfortable, stackable, demountable, this small stool has become a well known object in the home. 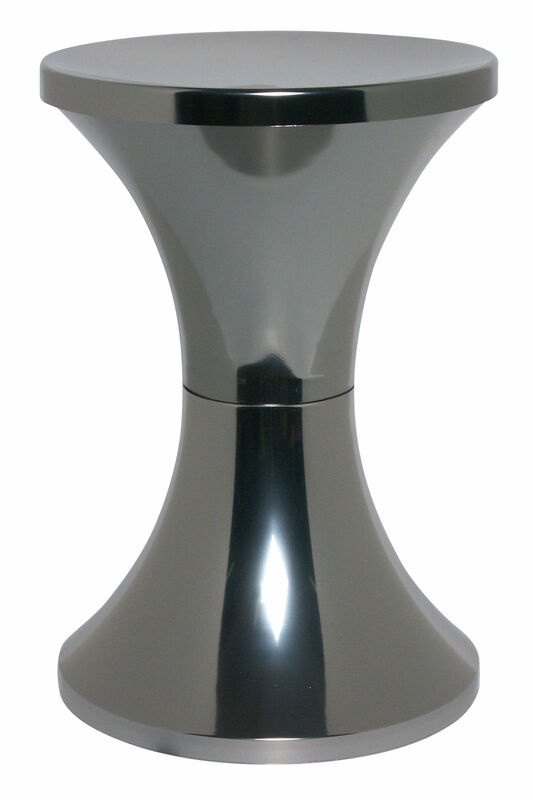 On their own or combined they can be used as decoration, or a useful object, these will always have a place your home. Orange or pink, silver or titanium... 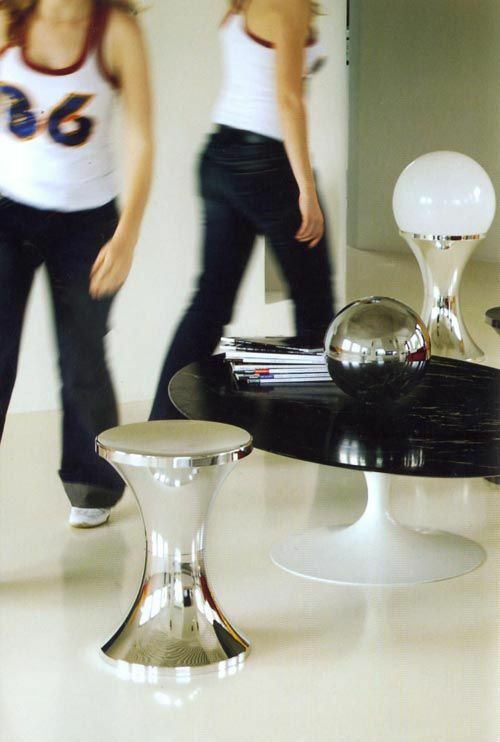 This chic version of this Tam Tam stool gives a touch of sophistication with a 70's style to your decoration.